New Right party launches 'aggressive' campaign pledging victory on the legal and military fronts. The sign read "Shaked will deal with the High Court of Justice, Bennett will deal with Hamas," in the spirit of Bennett's recent remarks. 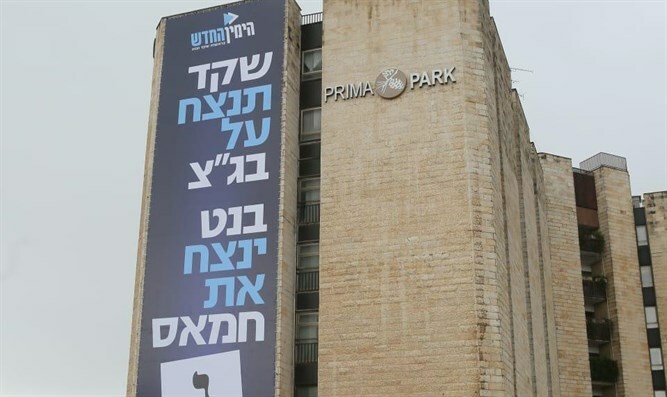 The New Right promised that this is the start of an aggressive campaign that will include a series of films, billboards, extensive field activities and legislative initiatives in the next Knesset.